I've got to admit that I am surprised with the quality of Kylie Jenner Cosmetics, I know I am only going off a small array of products but I just love them! It took me a long time to jump on the hype, it was purely down to the shipping costs and then the extra payments once it reached the post office that put me off, I cannot justify spending that amount of money for one products. But I guess if you buy in bulk or are just beauty obsessed then it is kinda worth it. I literally have no bad word to say whatsoever and this hardly ever happens (ok, ok, there is one and that is the products look far too pretty to use). Let's just start with discussing the packaging; it is extremely simple, sleek and eye catching plus it is very girly - these are the products you want to have on show. The lip products are all creamy and nourishing when applying, they do apply a little tacky especially the matte lipstick, however, they do soak into the lips well. I've got the matte lipstick in shade High Maintenance, it is the most gorgeous pink shade you ever did see. I did get a little worried when I first applied it because it was a cool blue tone but the shade switched to the gorgeous pink. I am equally surprised with the quality of the lip pencils, sometimes they can be quite hard and you feel like you are dragging your lip which is one of the worst feelings. But these are lovely and creamy they blend beautifully and last all day which is what you want for the price you pay. Finally, lets discuss the blusher. Oh my, this is absolutely stunning, it has to be my favourite beauty product in a long, long time. Being very fair skinned I don't suit anything too bright or drastic so a nice subtle pale pink blush is perfect for my skin tone but if you are going for that tanned look it also looks gorgeous being swept across the apples of your cheeks. 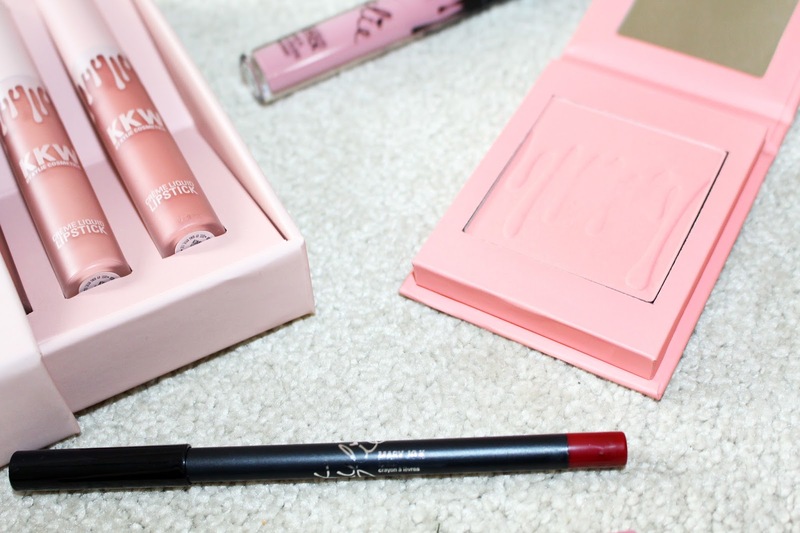 Have you tried any Kylie Jenner Cosmetics before?